An advanced cooling system makes for an energy efficient motor. The thumb operated switch and turbo button, moulded handle, safety interlocked beater release and wraparound cord storage make the mixer comfortable and safe to use. A quick and easy mixer for everyday use.About the Hand Mixer HM330:The white HM330 compact and durable hand mixer comes with six speeds plus turbo, twin beaters and kneaders for folding, mixing, whisking and kneading.PerformanceAn advanced cooling system makes for an energy efficient motor. 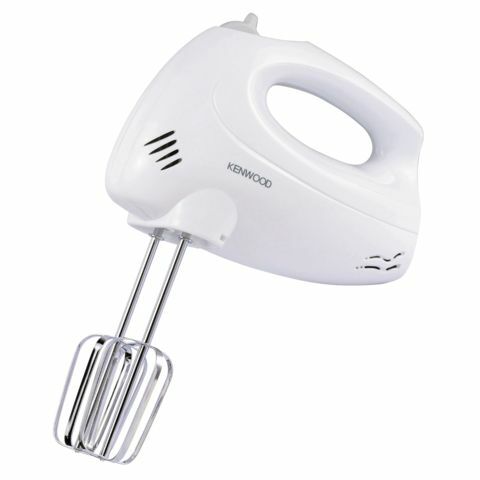 The thumb operated switch and turbo button, moulded handle, safety interlocked beater release and wraparound cord storage make the mixer comfortable and safe to use.